Vision Super’s Innovation and Transformation Consultant, Dr Christine Brown welcomed guests to the Institute of Water Administration (IWA)’s conference dinner last week. Christine’s speech discussed the disruptions both the water and superannuation industries face – and how we can overcome these disruptions with innovation. You can find the speech here. I acknowledge the Traditional Owners of the land on which we are meeting. I pay my respects to their Elders, past and present, and the Elders from other communities who may be here today. Thank you for that warm welcome. Vision Super is delighted to be sponsoring the conference dinner, and I’d like to thank the IWA and Vic Water for the opportunity. Our connection with the water industry goes back 70 years. We’re very proud of that history and connection. Both the water industry and super are industries where innovation is key. The compulsory superannuation system is one of the great innovations in public policy in this country’s history. We have gone from only a few lucky people having access to employer-funded pensions to almost all working Australians having the means to save for their own retirements. You have gone from barrels of water being sold door to door, to the safest and best water infrastructure in the world. But both industries face new challenges, and innovation is more important than ever - the future is disruption. Climate change, technology, and changing demographics and new patterns of work are big disruptors. Climate change is a big one for both our industries. Neither can tackle it alone – the response requires everyone from policy makers to the public. It needs a carbon price, among other incentives to change the energy sources we use. But even when the rest of the world seems slow to act, we must respond where it will disrupt our business. Vision Super is doing that on a number of fronts. Scientific evidence stresses that the global economy needs to transition to a carbon neutral state, but we don’t believe markets are pricing in a transition to an economy that keeps global warming below dangerous levels. This means our members’ retirement savings are at risk if we fail to act, so we have been changing the way we invest. We specifically ask our investment managers to consider the risks. As a result, we invest in companies that have a 70% lower carbon exposure than the rest of the market. We are the fourth largest investor in in responsible assets out of Australian super funds according to the Responsible Investment Association of Australasia. We have also been ranked 19th out of the world’s 500 largest investors for our action on climate change in this year’s Global Climate Index by the Asset Owners Disclosure Project. Not bad considering we are only the 36th largest fund in Australia – we are punching above our weight! It’s paying off – most of our investment options are top quartile for performance, and our international equities are the top performer across the industry for the year to date.In fact it was announced by SuperRatings just today that we are in the top ten performing funds for the last 12 months. We are also acting internally to reduce impact of our day to day operations. We have established a climate change committee, and we’re working on calculating a baseline for our carbon emissions. We’ve replaced some of our fleet with hybrid cars, and will be replacing more as they come up for renewal. The aim is to be carbon neutral. Our response to climate change has also led to product innovation. Last year, we launched a new, low cost, low carbon product – Vision Personal sustainable balanced option. Ethical, sustainable options have traditionally been offered by high cost retail funds - one of the funds marketing itself as ethical charges $1043 a year in fees on a $50,000 balance. Vision Personal sustainable balanced charges just $228 a year for the same balance. We’ve been rated the lowest cost sustainable option in the market by SuperRatings, the independent ratings agency. 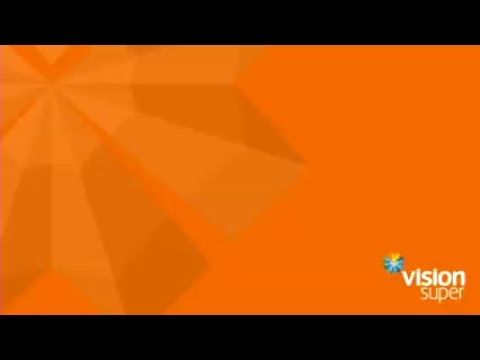 It’s a really revolutionary product; it was a finalist for SuperRatings' Best New Innovation award, you can join online in 90 seconds, and we’ve had a great response – Vision Super is now one of very few funds with a membership that’s growing, not shrinking. Last year, only 22 of the public sector and industry funds managed to grow their membership. Technology is another massive disruptor. It’s not an exaggeration to say that we’re living through the biggest changes to the world since the industrial revolution. In a couple of decades we’ve gone from the internet being an obscure thing used by the military and some small groups of geeks, to being a massive part of our everyday lives. We’ve gone from hundreds of workers in factories, to a few technicians who manage the robots that do everything from make cars to pack boxes correctly. Both our industries look pretty safe on the surface of things - everyone needs water, and everyone needs retirement savings. But hotels thought all travellers needed them – then along came Airbnb and disrupted the industry, practically overnight. Taxis thought they’d always be needed, but Uber changed that almost instantly. So far, new entrants to the super industry may have looked shiny on the surface, but when you’ve dug down into the detail they’re not great - they’re typically very expensive, because they don’t have the scale for low fees in a highly regulated industry - but the minute someone works out how to meet people’s needs in a better way at a reasonable cost, our business model will be disrupted. We know we need to shift the way we do business to meet our members’ needs in new ways. They expect it – the world is digital and we need to be too. We’ve spent the last 18 months implementing a new digital-ready administration system so we can build new ways of serving members, so we can tailor what we do and how we communicate to each member’s individual needs and preferences. We’re trialling an app to help members not just manage their super, but manage their overall wealth. We’re switching to digital defaults for communication – which not only makes members happy, it saves money, and it saves paper. We’re getting paper out of other parts of the business too – which may not sound revolutionary, but for a business that’s been reliant on paper for 70 years, it’s a big deal! And we’re running innovation projects across the business to streamline the way we work. But it’s never going to be all about technology. Other funds are moving away from personal service, but we’re embracing it more closely. We saw 15,000 members face to face last year – and we have no plans to replace that with technology! There is no substitute for sitting down with someone you can trust to sort out your finances. 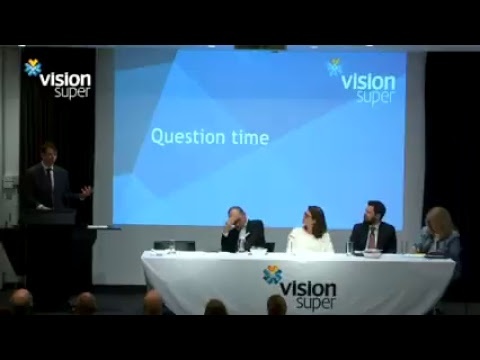 When I joined Vision Super to look after the innovation program, I had three different super funds all being eaten away by fees and expensive insurance set up by a retail adviser that I had started not to trust. I made an appointment with Mandi, one of our Vision Super financial planners. I felt nervous and vulnerable. Money is not something I enjoy talking about. I don’t think I’m good at it and I didn’t know what Mandi would say. I thought she might judge me. Or laugh at me. As soon as we sat down and started talking about my situation, I felt at ease. She was supportive and reassuring and I knew that we would work out a really solid plan together. When Mandi told me how I could effectively plan for my retirement and not be eating cold baked beans at the age of 80, I burst into tears. I was so relieved. There is just no way you’re getting that level of reassurance and comfort from a robot, or an app, or even a call centre! Knowing you can trust someone with such an important part of your life, knowing they’re not recommending a product to you because they’re getting a commission or a bonus – like I suspect my retail adviser was – that’s priceless. Looking to the future, we face more disruption - demographic changes and the changing nature of work are two big ones, but no doubt there are more we don’t know about yet. What we do know is that our industries are responding – we’re thinking about disruption and innovation. At this point of the evening, we’re probably also thinking about dinner – so I’ll finish here! Thank you again – and I hope you all enjoy tonight’s dinner and tomorrow’s conference.